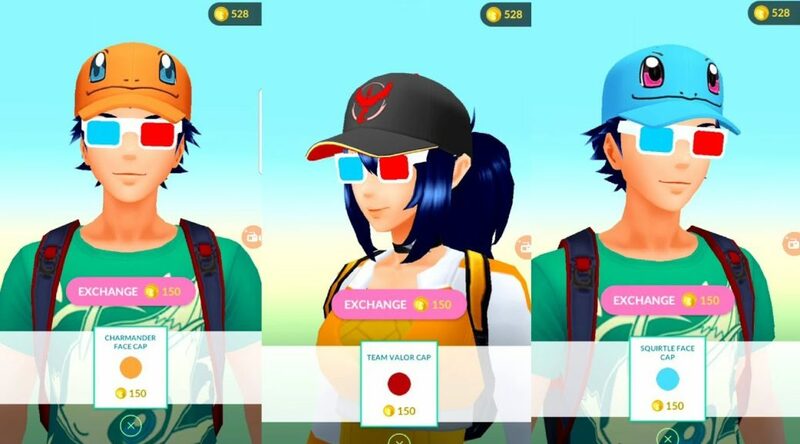 Earlier today, The Pokemon Company and Niantic added a bunch of new hats for trainers to purchase in Pokemon GO. The hats now available for purchase are Charmander Hat, Squirtle Hat, Bulbasaur Hat, Team Valor Hat, Team Mystic Hat, and Team Instinct Hat. Each hat costs 150 coins. Check out the hats in action below.